Home >> Architectures >> Do You Know 10 Most Expensive Woods in the World? When it comes to wooden furniture, the highlight (apart from finishing) is the raw material making it up – named wood. To pursue the value of resplendence, the classy homeowners usually select the best-quality ones. Even the people pay for exclusive wood that costs an arm and a leg. The price per foot even can be hundreds of dollars. Unless you believe the fact, simply check out this list about 10 most expensive woods in the world. 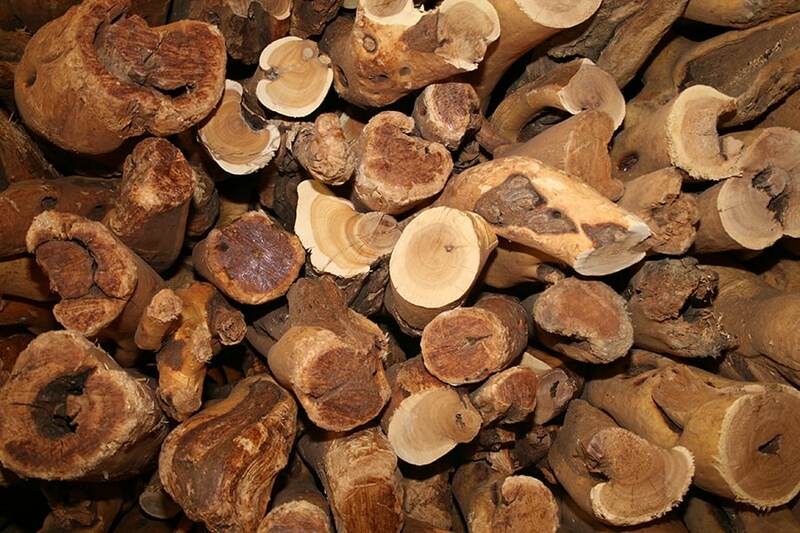 Sandalwood is not only famous for its great characteristic fitting with woodworking but also its smell-scented aroma. Don’t you know that the smell can last for a couple of decades? This feature is the reason why sandalwood becomes one of a kind. In the industry of cosmetic and perfume, this plant is often applied as the main ingredient. As it belongs to durable hardwood, this guy is frequently formed into other shapes such as chairs and tables. Unfortunately, some people abuse it, making it as the main commodity the illegal market. It’s priced at 370 USD per pound. True to its name, the general appearance of this wood is in the jet-black shade. Comprising plenty of straight grain, you will find the African woody plant easy to cut. Recognized as the hardest wood in the world, it comes with a durability that you can’t question. The craftsmen along with their amazing creativity often turn the raven log into multifarious musical instruments like guitars and oboes. It’s also found in many craving products. The black wood is such a great preference especially to those living in a tropical area, as it’s incredibly resistant to the heat. It costs 31 USD per foot. Bocote gives a sensational touch upgrading any types of wooden elements. There is no wonder that this wood is often used in a multiplicity of products, not only furniture but also small turned objects. It’s searched by many due to its gorgeous look and ultimate functionality transforming nothing to an artwork. Like the African Blackwood, one of the beautiful woods in the world can withstand for a longer period. The drawback of bocote wood is prone to change its color (into something darker) when it gets older. The price of it is 32.99 USD per foot. Originating from the purpleheart tree, purplewood has a uniqueness that can’t be found in other woods. It refers to a process of color changing. When the log is ripped apart, the dull shade seems nothing to happen. However, wait for other minutes until the wood is dry. Then be amazed as you see the woody pieces as if they were smeared with a deep eggplant paint. Purple wood that makes you spend 12 USD per foot is often used to enhance the accent in refined furniture. There is a vast array of colors you might choose from Bubinga wood. From light brown to reddish brown, the tone radiated by this variety never fails to fascinate wood lovers around the globe. In the world of woodworking, it’s often applied in the projects that require large planks of wood. Another feature that bubinga has to offer is how it staves off from the crack problem. Its durability allows the termites to go away. It costs 18.99 per foot. Considered as one of the rarest wood on earth, lignum vitae have exclusive features that you can’t expect before. The most distinctive part is nothing else but its high oil content. In nature, the liquid is actively produced by the tree. This sort of trait brings a good impact on the wood finishing product. The outcome tends to be overly fine and easy to shape. It also provides a wide range of hues. The rate is totally expensive, i.e., 90 USD per foot. Seeking out furniture that is resistant to termite? Don’t miss out on Dalbergia. Being the key material in the production of acoustic guitars for numerous decades, this wood is well-liked in parts of the planet. Aside from it, it is used to enrich the accent in flooring. When its tanned look is highlighted, it seems to be one of the exotic woods in the world. Despite so, Dalbergia goes with various colors to choose from. The price ranges from 14 to 16 USD per foot. Pink ivory is comprised of even grain that lets this wood applicable to assorted forms. Don’t get surprised once knowing the truth that it’s used in the massive production of billiard cues as well as knife handles. As its name suggests, the popular color of this graceful log is none other than pink. However, it doesn’t always come in one shade. Other varieties include deep red and brownish pink. Speaking of the health risk, pink ivory is the one actively reducing it. It costs around 7 or 8 USD per foot. Ebony is known as the strongest wood in the world making it hard to work with. This wood has a gorgeous form when the final product is successfully created. It is convenient to items relatively smaller such as piano keys and pool cues. The interesting fact about this guy is that it’s almost impossible to rot. The glossy finish is naturally produced by the dark woody peace of which cost is around 120 USD per foot. Although bloodwood is not the best wood for furniture, its presence can’t be taken for granted. How does it come? First, this kind is considered very durable so that it can last for a long time. Home decorators frequently take full advantage of it for flooring. What’s more, it can fight against insect and water damage. Speaking of the price, it’s more affordable than ebony, i.e., 11.9 per foot. Out of 10 types of wood for furniture, it concludes that the priciest one in the world could be either ebony or sandalwood. Regardless of your choice, those 10 most expensive woods have many advantages for your home decoration.